Any time metal is manipulated from one state into another, it is considered to be metal fabrication. There are several basic categories of metal fabrication -- structural, architectural, ornamental, automotive/recreational, and artistic are just a few. Metal fabrication has many facets that are not commonly known. Knowing whether the metal being fabricated contains iron (ferrous) or contains no iron (non ferrous) is vital to a project. Welding media must be carefully chosen to correspond to the type of metal being used. 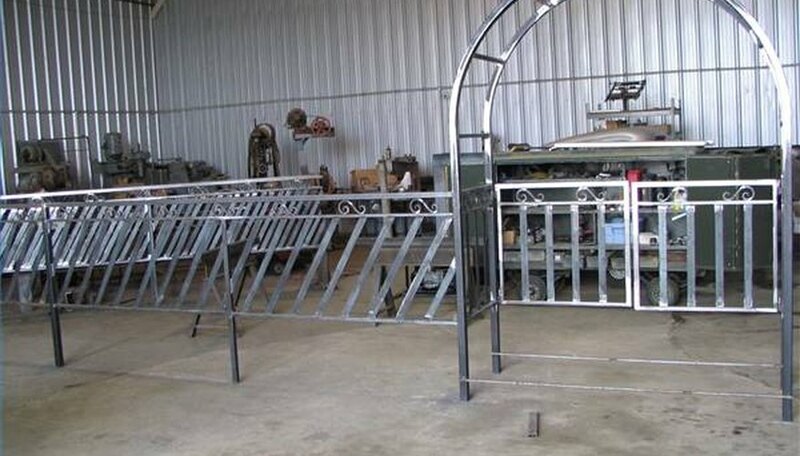 A successful metal fabrication project involves intricate planning of details and can range anywhere from a basic weld to highly specialized structural metal work, rolling and bending metal, bolting pieces together mechanically, even artistic sculpture. 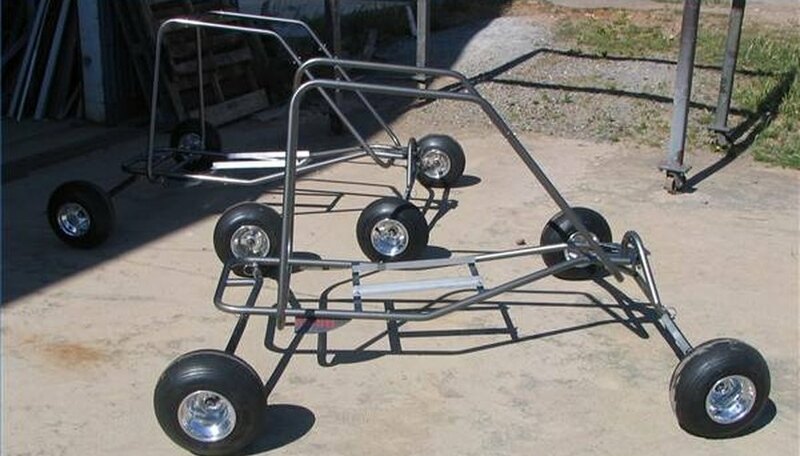 Many folks believe that the ability to weld makes one a metal fabricator. Yet, not all metal fabrication involves welding. Some pieces are connected with nuts and bolts or rivets, some pieces are bent, twisted or rolled into another form, and some pieces are machined. While welding is a relatively new technology, blacksmiths have been fabricating basic necessity products, farm implements, tools, and art from metal for a very long time. To properly attach metal to metal, one needs to understand the properties of the metal: what kind of metal is it--iron, steel, aluminum, or an alloy mixture? What will the final use be--decorative, structural, artistic? These questions can affect both the design and fabrication of a metal project. Structural steel fabrication usually involves using very heavy steel and specialized welding materials. The framing of high rise buildings is often made from structural steel. 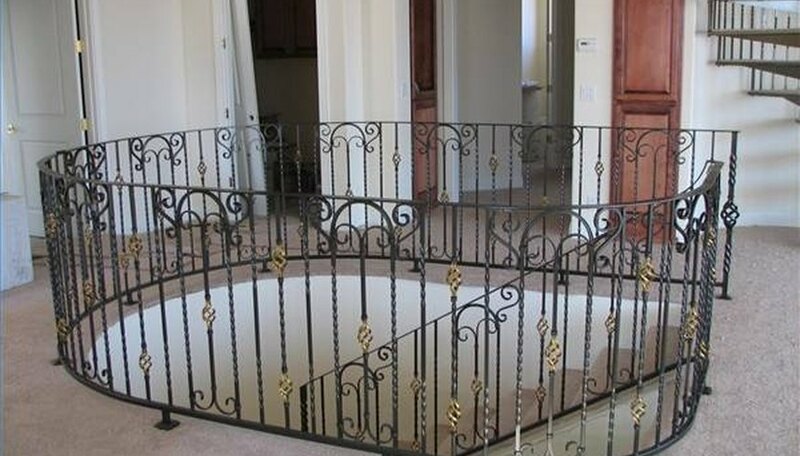 Decorative, ornamental and architectural fabrication is used in commercial, industrial and residential applications--deck rail, stairs and gates. Pieces that need to be strong yet lightweight such as bicycles, airplane fuselage and race cars can be made from a variety of lightweight metal alloys. Metal fabrication artists often use reclaimed metal or scraps, and art can range from sculpture to abstract. Although most architectural and ornamental projects are made from mild steel, there are many other types of metal for specialty projects. Some metals can easily be joined with others and some can not. There are two broad categories of metal: ferrous and non ferrous. Ferrous metals, such as iron alloys and mild steel contain iron and are magnetized. The easy way to determine if a metal is ferrous or non-ferrous is to use a magnet: it will not stick to non ferrous metal. Non-ferrous metals include aluminum, most stainless steel, copper, brass, silver and gold. Aluminum is often used when a project needs to be lightweight but doesn't need a high amount of tensile strength. 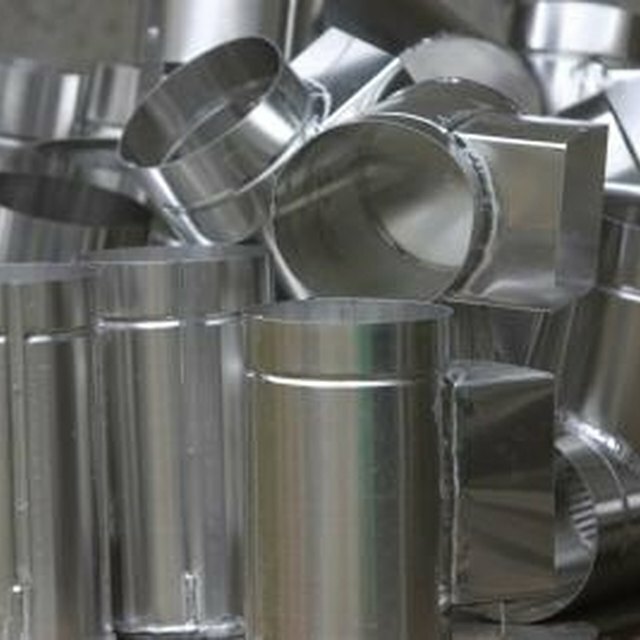 Aluminum does not easily corrode, and is easily recycled. Because of this it is often used to fabricate rims, stairways, and of course, cans. Chromoly is an alloy used when a lightweight yet strong metal is needed such as in airplane fuselage and bicycle frames. It is a mixture of Chromium, Molybdenum, along with iron. Stainless steel does not easily rust or corrode and it is often used in metal fabrication projects in which a bare metal look is desired. Each type of metal has a corresponding specialty welding wire that will avoid rust, corrosion and discoloration at the joint. Because of the vastly different properties of each, it is a difficult and intricate process to weld most ferrous and non-ferrous metals together. It is important to address in the planning stages if these will be mixed. When planning an architectural, ornamental or structural project, one has to be aware of building codes. 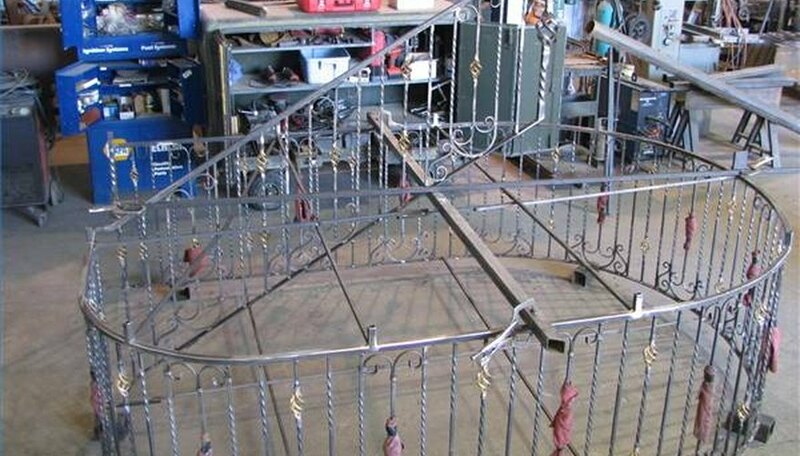 A piece of decorative railing must be built to a certain height and strength, and then the aesthetics of the piece may be addressed. Planning and design is a necessary element to metal fabrication. No matter who creates the design, it is the first step in successful metal fabrication. 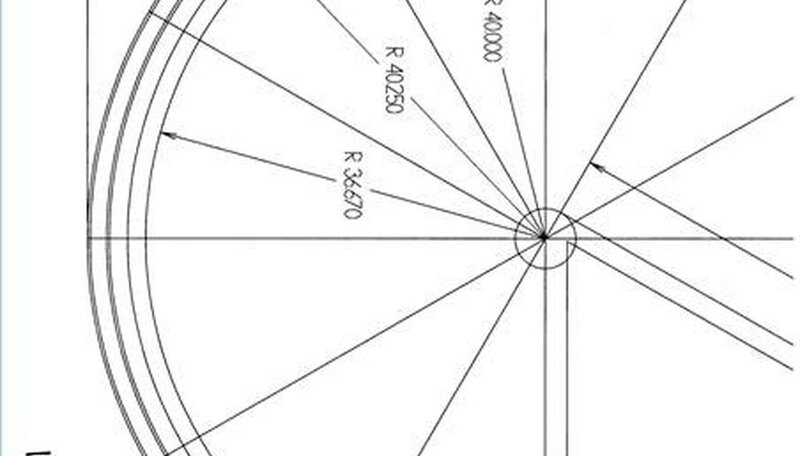 A design may be drawn in blueprint, architectural drawing, computer assisted drawing (CAD) or simply by hand. Before computers came along, many metal fabricators drew their design on the floor of the shop. Whether drawn by computer or sketched on a floor, a drawing with detailed measurements allows the metal fabricator to make a list and order the proper materials and supplies to complete the job. Without good measurements a metal fabricator must guess, which often leads to rework. A project that is planned and designed ahead of time will reveal potential problems. Drawings ensure that form, fit and building codes are addressed before the first cut is ever made. There is an old adage, "measure twice, cut once". This is true for any project that has parts that fit together. A drawing's measurements are only as good as the metal fabricator's ability to interpret the drawing. Cutting materials and layout are imperative to the quality of the finished project. A metal fabricator must be able to accurately adjust cutting equipment based on the materials being used. Square or rectangle material is cut differently than round material. Being off on a measurement by a fraction of an inch can result in the project being out of square or off pitch. When cutting, a metal fabricator must also take into account "kerf"--the amount of material destroyed by the saw during a cut. Some metal fabricators build and assemble in the shop, while others build "in place". Both methods are effective, though projects built in the shop are usually cleaner and offer a wider variety of coatings to finish the project. Shop assembly allows the use of fixture tables, which allow the metal fabricator to build to the same measurements each time. Fixtures must be fabricated to the specs of the job, so they are only used when building multiple quantities of the same project. The fixture table ensures that parts are cut correctly and assembled properly. If they don't fit the fixture, they are not right. There are several types of welding. Each has benefits, and based on the type of metal and the project one type of welding may stand out as best. Welding is a relatively new process. It was first performed by Blacksmiths using the forge to melt welding media and attach metals. Later, advances made it possible to use captured gases such as oxygen and acetyline to provide the heat necessary to melt welding media. Around the 1930s and 1940s, when electricity was well established and inventors were making strides, welding power sources became popular. These power sources use electricity to provide the heat necessary to weld materials together. 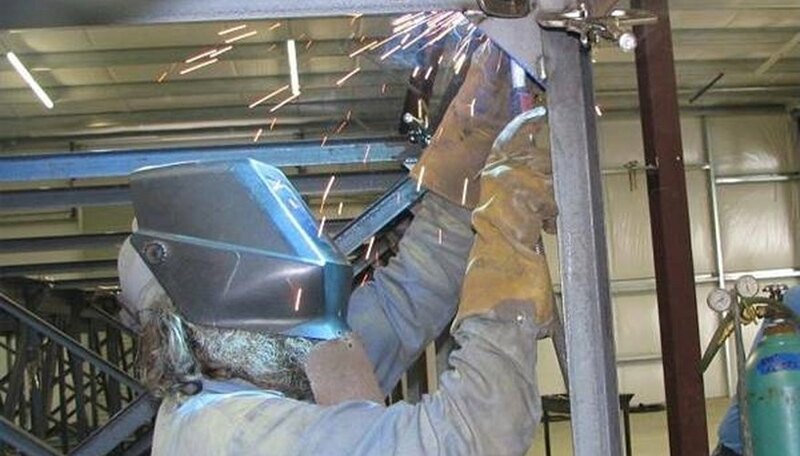 Metal fabricators may use one or more types of welding techniques to join materials. This depends on the material, and the end use of the project. The most important aspect of a weld is "penetration" A fabricator must adjust the welding machine based on the metal to make the weld hot enough and control speed to make sure the weld has penetrated the metal. The strength of a joint depends on the amount of penetration the welding media has into the metal. Welding with enough heat softens the metal and the welding media. As the weld cools, the material being welded together bonds with the welding media. Although certifications are available for the various welding techniques, they are not required. Some fabricators specialize in only one type of welding, such as underwater. Today, there are robots that perform welding. With experience, a metal fabricator learns to weld quickly and neatly. Clean welds not only look better, they save a lot of time. Some projects do not require what is called a "pretty" finish. As a project is welded, some of the material splatters. On some projects this can be left alone. But on decorative, ornamental, architectural and artistic welding the finish has a great impact on the overall look of the project. Many metal fabricators have learned the art of grinding or smoothing their welds. They must take care to smooth, yet not take the weld down too far. If a metal fabricator grinds too far, the weld may become weakened. When a project is done there are a great variety of finishes that can protect the metal from the elements. Without a finish coat, ferrous metal will rust, and non-ferrous metal will corrode, which eventually destroys the project. Some metal fabricators do their own finish work--adding a protective coat of paint, "gun" blue, or other decorative finish. More and more metal fabricators have converted to the benefits of powder coating, a protective finish that is far more durable and lasts much longer than others. What Are the Points Called on Wrought Iron Fences?